“On Sunday 23rd July, Martina was joined by special guest Suzy Miller, a Divorce Strategist who specialises in guiding UK families towards amicable ways to divorce. 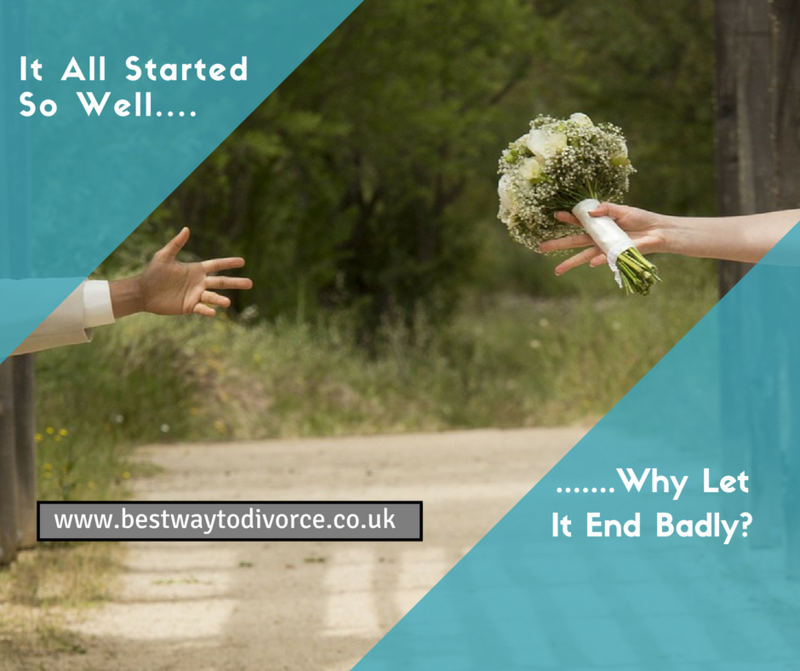 We discussed the subject of the divorce procedure and the brand new DIY/self-managed divorce resource, which gives red alerts to how what seemed simple to start with can easily turn unpleasant. Without a name; an unseen face and knowing not your time nor place, Tomorrow’s Child, though yet unborn, I met you first last Tuesday morn. The beginnings of this poem by Glenn Thomas was read by Ray Anderson during his TED conference talk regarding sustainability, but today its ethos is being addressed by the charity Parent Infant Partnership (PIP) UK who are facilitating an exhibition in Parliament, to continue focusing the hearts and minds of policymakers regarding the experience of being a baby in the UK. The origins of Monday’s Child is fair of face rhyme with its beginnings in the mid-nineteenth century, used a fortune telling methodology to predict the life chances of childhood. Today there is incontrovertible scientific understanding which is contributing to policy discussions of the 1001 Critical days: conception to age 2 period – asking for a cultural shift in thinking about the importance of the antenatal period and its significance for future life chances of the unborn baby. Tomorrow’s child exhibition presents a creative response to the only cross-party children’s manifesto in the country which brings together a coalition of policy-makers, professionals and parents, to enable the village around the infant-family in our local communities. Should the day in which you are born determine your life chances? Giving every baby the best possible start in life presents us with a challenge and responsibility to consider together what that looks like in the UK. How well we are doing with what science and economics is showing us is a progressive way of thinking for better outcomes for our citizens. The focus of these short films is how, during the first 1001 days, divorce and family separation has a range of effects upon the new life and therefore the family as a whole, and society – both financially, health-wise and also on a deeper level of ethics/humanity. Earliest relationships and children’s experiences of this right from their experience in the womb, lays the foundations of potential and building blocks to support infant and early childhood mental health. Creative collaborations between a community of 60 artists and scientists have generated a fascinating menagerie of art objects, images and designs, which positions this exhibition as a pioneering piece of neuroscientific enterprise. In Psychology Today, Edward Kruk has written of 11-15% of the children of divorcing parents suffering the effects of implacable hostility. In the UK, where roughly 250,000 divorces are granted every year, that estimate would equate to some 50,000-75,000 children every year. The parent labelled with ‘implacable hostility’ is unable to see any value in their child spending time with the other parent. But the effects of this on the child can be extreme, and the phrase used to discribe this is Parental Alienation Syndrome (PAS), which can begin at a very young age – even younger than 2 years old. But there are much more subtle and common forms of alienation, and not always against the non-resident parent. Building babies minds has been a recent campaign launched by the charity PIPUK, recently saw over 10 million people across the UK engaged in raising awareness of infant mental health in the first national week of its kind. Infant mental health and its public message of prevention as cure, contributes significantly to children’s mental health and it is in this context that thinking about a child’s life chances can be thought about – preventonomics to give a better start for investing into our future generations. “There is a growing acknowledgment that those first early years of a child’s life are absolutely crucial. Getting it right as parents supported by professional help and public investment where needed has the potential to make a huge difference to how that child will grow into an adult contributing to society. Putting this approach at the heart of what Government does in which there is now buy in of all the political parties. I’m delighted to be sponsoring the Tomorrow’s Child exhibition in Parliament which is a creative response to the 1001 critical days’ manifesto from a community of artists and scientists who have worked in collaboration over many months to bring the arts and science together for such an important topic”. Bringing art and science together to represent the names and faces of the 776,352 babies born each year in the UK and the many losses which add up to 3,564 stillbirths, 42,841 recorded miscarriages and around 186,000 through termination of pregnancy brings a focus for the infant-family and all of the joys and sorrows experienced in homes throughout our villages, towns and cities. Demographic studies show that more than 40 percent of children born to two parents can expect to live in a single-parent family by the time they are 18. Parenthood seems to provoke the spike in the divorce and separation statistics, with roughly a fifth of all marriages ending within five years after the birth of the first child. Images from the website can be used with permission sought and copyright acknowledged. I believe there are two reasons why the majority of law firms I observe who offer dispute resolution, fail to proactively promote it. I think it’s about time someone pointed them out. But first I need to illustrate the extent of the problem. So I’ve started a survey and begun with 4 law firms in the South East, measuring the amount of online content they dedicate to DR. I’ve also included the number of relevant videos that appear for each firm during an ‘on page one’ google search. The results were interesting, and I hope that other firms will want to do the survey for themselves – full guidelines and the results are below. The first reason sounds too cynical, but there may be truth in it. It just might be that law firms do not feel committed to dispute resolution and feel no obligation to encourage more of it to happen – at least not enough to direct their marketing spend in that direction. Now that would make sense if we were talking about spending more than the cost of a meal for one at Pizza Express every week for a year – but we’re not. This is not a financial issue – it is a lack of Will. Self-promotion does not seem to be included in the Resolution training – and more’s the pity. Which is why you hear some Collaborative Lawyers saying: “There’s not much demand for it” – and totally ignoring the fact that it’s very hard for the public to demand something they don’t even know exists. This is an uncomfortable truth that some lawyers seem to try to pretend isn’t the case. But it is. Finding out about Collab in a state of emotional upheaval during a MIAMS is just not the same as finding out about it when searching: ‘how to divorce’ on Google in the earlier stages, well before everything starts to go pear-shaped. So who got the Gold Stars and who got the Raspberries for the survey? Let me put it in perspective first. This is not a ‘name and shame’ – simply an investigation which I found very useful for myself, and I wanted to share it. If you would like to survey your own firm, the simple instructions are below, but I wanted to ‘frame’ the results briefly before I tell you what I found. I used private browsing to get consistent results and simply used a short selection of keyword phrases and recorded the page links that appeared on the first page of google that were focused on dispute resolution. In an effort to be kind, I included the legal firms profiles of their dispute resolution professionals who appeared in the searches, even though some fail to provide actual information about DR on those pages. I also clicked the video link on google for each DR search to record the number of videos about DR that appeared – which is important, bearing in mind that over half the search traffic is now viewed on mobile devices, and video is a very accessible way to access information (rather than reading small text off your phone). The selected keywords were: divorce (company name), mediation (company name), collaborative law (company name) and then the number of links of 1 lawyer per firm searched with the terms (name of lawyer) mediator and (name of lawyer) collaborative lawyer. Not surprisingly, the smaller firm that deals primarily in dispute resolution (O’Sullivan Family Law) faired much better in this survey than a full service firm. But only by 6% more on the number of total links per search page, focused on dispute resolution using the search terms, compared to full service firm Stephen Rimmer LLP. 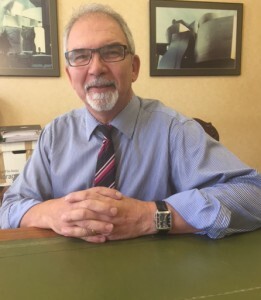 However, it is worth noting that I was able to include the home page of O’Sullivan Family Law as relevant links because dispute resolution is specifically highlighted (naturally) – but there is no reason why larger firms cannot do the same. Despite the many excellent videos Jo O’Sullivan has created, she was just topped by Stephen Rimmer LLP who had 31 videos appearing, compared to Jo’s very healthy 29. Now here come the raspberries. Obviously, this is only a guide, but I am going to stick my neck out here, and suggest that firms who have a similar score to Mayo Wynne Baxter and Dawson Hart Solicitors, pay attention. You know who you are. You know that sandwiches and conversations in Pod meetings does not compensate for a lack of online marketing of DR by your firm. I don’t think the two other firms I picked at random are in any way alone in being fairly ineffective in proactively promoting dispute resolution online. And I hope that all firms that measure themselves in this way, will make a concerted effort to make sure that their own scores improve over the following year. And not simply by better search engine optimisation (though that is worth considering) but by sharing useful content via articles and videos that potential clients will find of value. I’ll let you see the results for those two firms yourself in the data table below, but suffice to say, there was a marked difference between the first two firms surveyed, to the last two, in the number of website pages and videos that were focused upon dispute resolution. In summary, when a law firm’s name is linked to the word divorce in a google search term, wouldn’t it be grand if – rather than around 30-40% of the page links being focused on DR (as with the top DR promoters) – it was closer to 100%? I don’t think that will happen while lawyers delude themselves that the public actually understand the true options open to them. By creating worthwhile content and sharing it, not only will they be building a more educated client-base, but they may get more DR work into the bargain. But is there the Will to do it? Or is the world of online marketing and video still too scary for the more traditional law firms? “It is seriously important that D R professionals drive forward through marketing to share the advantages of DR options with those facing family breakdown and conflict. DR is imbedded now in the Family Law system, and its role must be applauded by all family law practitioners as reducing stress, cost, and conflict for our clients. • Key word phrases are used ‘incognito’ (Private Browsing) to get consistent and fair results, page 1 of google only. • Only record pages that were specific to dispute resolution (not simply mentioned on the family law page) and providing some DR information on the page linked to. Nb. I have included profile listings from the firms’ own websites even though in many cases no explanation about the DR practiced by that solicitor is provided. • Record the number of weblinks relevant directly to DR on the 1st search page, which includes profile listings, articles and videos. There are 10 one each search page. • Do not include links to LI (only relevant to people who have joined) or sites that provide only contact details and no actual information on the page about dispute resolution (you CAN include profile pages on your company website as long as your DR role is mentioned). • Video columns are from the Video tab on google search per search term: count only the number of videos about DR linked directly to that firm ie. not generic DR videos. NB: Even though some of the firms surveyed did have videos on their website pages, they did not necessarily appear individually on the google search pages. (Which means better optimisation is required – eg.popping some relevant keywords into the Youtube tags). Should employees pay divorce insurance to protect employers? Divorce costs to the employee and the employer can be staggering. It is estimated that divorce costs the British economy up to £46 billion every year (that’s more than we spend on defence), and the Chamber of Commerce are well aware of the intrinsic relationship between employees’ wellbeing and business productivity. Divorce hurting British workplaces 26 Nov 2014 revealed that one in ten employees have had to leave jobs after a split, or have a colleague who has. 16% have seen the workplace hit by sick leave following the stress of break-up, and 15% say separation or divorce had a negative impact on productivity. What other potential risk is likely to affect as much as 50% of an employer workforce – with such certainty? If you include families breaking up who are cohabiting, then that could be as much as half of a company’s employees. Accidents, lawsuits, liability, mistakes – all pose major risk-based threats to employers. Yet, none has a chance of affecting 50% of a company’s workforce in the way that divorce and family separation are sure to strike. 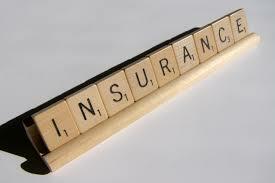 How many UK company are looking into legal plans as a divorce risk assessment and risk prevention tool? They are in America – and Heston records in his article in Voluntary Benefits Magazine that legal plans were being sold in record numbers. Divorce undoubtedly reduces a worker’s productivity. According to John Curtis of Integrated Organizational Development in Waynesville, N.C., the cost per worker going through a divorce is about $8,300, assuming an average wage of $19.50 per hour and a 50 percent to 75 percent drop in productivity. 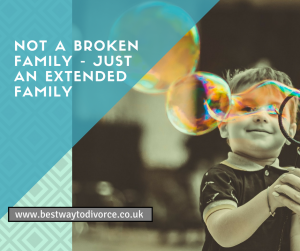 That estimate also includes days missed as the worker takes time off to deal with the legal, financial and psychological issues related to divorce. It’s not just the financial analysts who should be helping businesses to be more resilient to this threat. Counsellors are well aware of the human cost and the impact on the workplace as a whole. It has been reported that divorced men are at least twice as likely to attempt suicide than married men. “All the research now shows that children survive divorce and adjust well if the parents act civilly and behave as friends. So the biggest mistake a lot of parents make, is that they get angry, rush off to the lawyers, rush off to court, and start a war. In just 60 short seconds, the impact on children of divorce and family separation is clear to see – through the artwork of a group of children, collated from images from Postcards from Splitsville. In this one minute video is the frightening prospect of a long-term social impact – the next generation of employees – scarred by their experiences of their parents’ angry breakups. Even though she had a very civilised divorce (using the Collaborative Law process), the later custody battles fought by Madonna, show that even with an initially ‘healthy’ divorce, fighting over the kids can go on for years. This is why the unique online resource CoParenting in a Box™ – launched this year with the support of resources from Resolution, National Family Mediation, Families Need Fathers, and other key organisations, is timely. The resource provides a way for parents who no longer live together to find better ways to resolve co-parenting disputes, providing access to video interviews with top experts in their fields – including parenting and mediation – and other key resources, all in one place. Not just good information, but also complimentary initial access to a holistic range of experts, some offering whole discovery sessions on Skype. 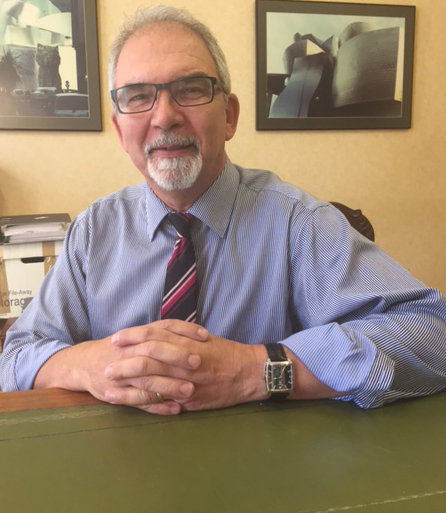 HR & Business Development Director at Azureus Ltd, Gareth Williams, has recently included Divorce First Aid Training for Employees in a package of courses available to SME’s who are looking for something beyond the usual range of courses on offer. Time Management training is important, but difficult to put into action when you’re psychologically exhausted by a long-running dispute with your Ex, or unable to get access to see your own children. A top provider of employee ‘perks’ is going to be sharing free access to CoParenting in a Box™ later this year, because they recognise that employees need a wide range of resources, often beyond the scope of your traditional employee wellness programmes. Perkbox provide access to more than a hundred employee rewards that has proven to increase staff retention significantly – on average, by 14%. The ‘perks’ range from free food in major UK restaurants, to movie tickets, to phone insurance and more. The ‘more’ includes a voucher to a complimentary CoParenting in a Box™, which will in turn give over 300,000 UK employees access to hundred’s of pounds of no-obligation discovery sessions and information from parenting experts through to family mediators and financial advisors, all focused on helping those families to resolve conflict and to evolve into successful extended families. Forward thinking companies like the Royal Mail are trialling Dialogue First, which offers lawyer-assisted mediation to couples considering divorce. And these initiatives have not just evolved from what is clearly a real gap in the employee wellness arena – the call has also come from the Government. If Guy Ritchie and Madonna had accessed CoParenting in a Box™ – and the expert advice within it – they may have avoided wasting a whole lot of money and putting their kids through the horror of parents who are at war. Thanks to companies like Perkbox and the organisations and charities supporting non-adversarial routes through family change, many UK employees will be better informed and better resourced than parents like Madonna, who for all her fame and fortune, suffers the same parenting issues as the rest of us. It may seem unlikely that UK employees will ever choose to pay for ‘divorce insurance’ from their salary to protect themselves and their employers from the financial fall-out of divorce, but hopefully they will gain the financial and emotional support earlier via the resources now becoming available, which will reduce the destructive effects of family separation in the workplace – and on the economy as a whole. 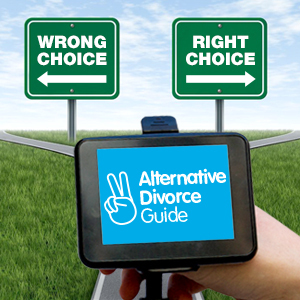 Suzy Miller is the UK’s ‘Alternative Divorce Guide‘ and is one of the exhibitors at the ‘Tomorrow’s Child’ exhibition at the Houses of Parliament in June. Suzy Miller is a Public Speaker and Trainer, and has been featured on Radio 4 Women’s Hour, the Daily Mail and C5’s The Vanessa Show.